Ala Moana has long been a vital neighborhood of Honolulu which bridges the gap between Downtown and Waikiki. 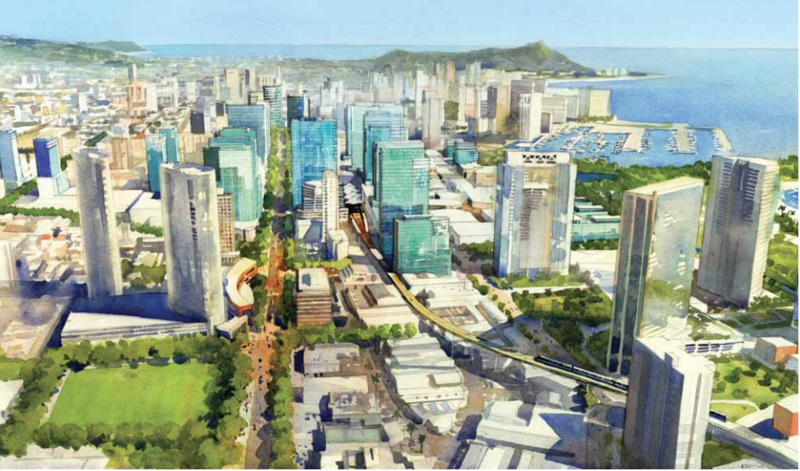 With the announcement of eight new residential high rise condo towers awaiting development, a major boom of development has shifted to Ala Moana. The first batch of hotel-condominiums will also help to fill the hotel-room supply shortage in Waikiki and promote Ala Moana as a tourist destination.